I have a mixed relationship with lace. I do love it on vintage pieces, family heirlooms, and wedding dresses but I use it quite sparingly in my own decor and fashion. But I realize that I’ve been thinking of it quite narrowly, assuming lace to be only in the traditional form. But lace-like patterns come in many forms. 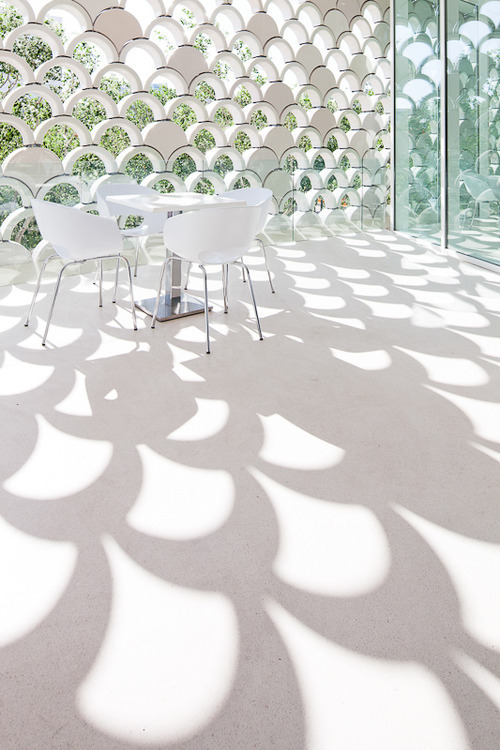 I’ve recently been noticing a lot of a very pretty lacy lattice patterns used in modern decor and fashion. And I have to say, I’m finding myself very drawn to it. Today I’m sharing some gorgeous examples of this detail in home decor. 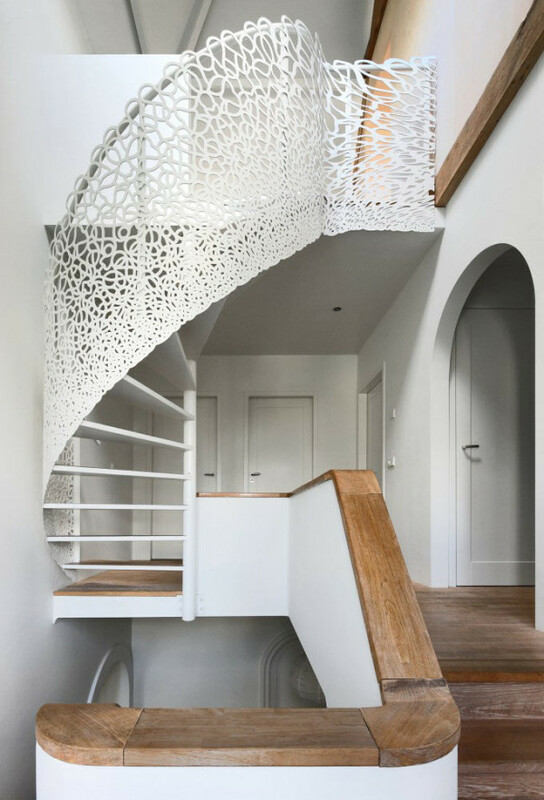 For example, this exquisite staircase which is sits perfectly within the minimal modern decor of this home designed by Maxwan in The Netherlands. The Dutch are always on point with design, am I right? A beautiful lacy lattice window covering in a Moroccan style room designed by Geoffrey Bradfield. Though not exactly lace, this lattice wall has a scalloped edge lace inspired look about it, right? And wouldn’t you love to soak in a giant tub looking out at this of lacy arch goodness? If only we all could have Nate Burkus design our bathroom like this one in Atlanta. These items give me a whole new Both of the dresses above are beauties and I’m also a big fan of the pendant lattice light fixture. What are your thoughts on lace?